PACLINE is no stranger to unique conveyor applications however some stand out more than others. Take for example the use of our PAC-MAX™ heavy duty conveyor in the Astronomy field! 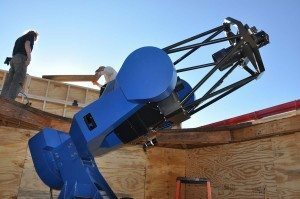 It all started two years ago when Ron Phillips, project engineer at PACLINE received an ‘out of this world’ inquiry from Dan Campion, an amateur astronomer in San Diego, California. Campion had acquired his first space observatory in September 2011. In November of that same year the original roof of the observatory, which was a typical dome shape, suffered severe wind damage and blew away – a problem that had occurred numerous times before. 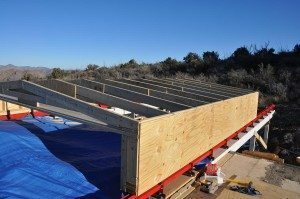 Thus he began his search for an engineered roofing solution that could keep his telescopes safe from the winds that could gust up to 100 mph. 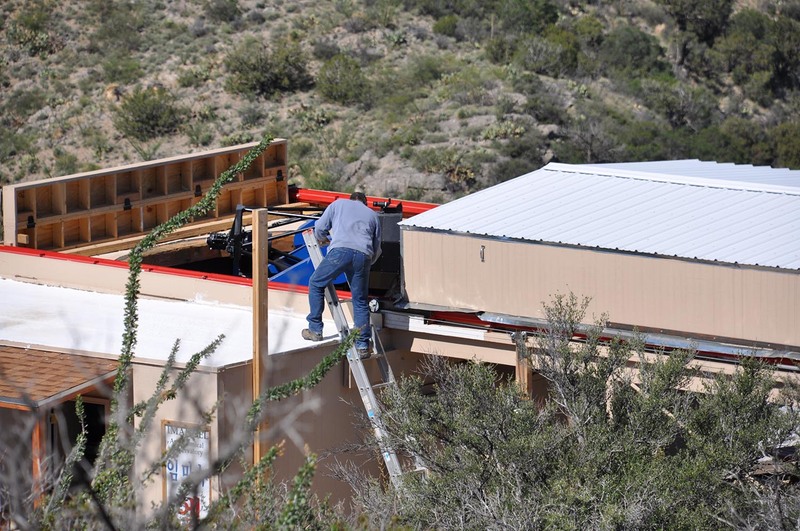 Dan Campion’s observatory is a small wooden framed building, custom designed to hold the giant telescope and it sits at a 6,000 ft. elevation overlooking Portal, Arizona. This area of the United States is known to have the darkest, clearest skies in North America making it a perfect location for astrophotography, which is Dan Campion’s specialty. Astrophotography is the recording of images using long exposure times to capture images in space such as galaxies, stars and nebulae. The high tech cameras used for astrophotography are mounted on top of the telescopes, therefore one can imagine why protection from weather and outside elements is essential as the equipment is extremely costly to replace and repair. The above is a picture captured by Dan Campion. 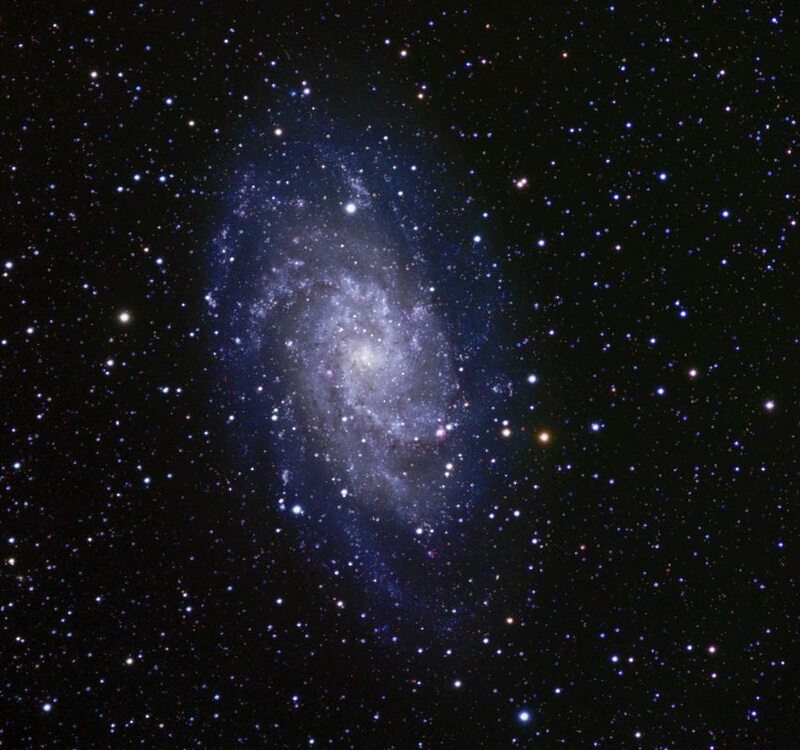 It showcases the Triangulum Galaxy, a spiral galaxy which is around 3 million light years from Earth. Campion decided that he needed a new roofing system that could, first of all, withstand the heavy winds and secondly allow him to open the roof from remote access since he resides in San Diego, a day’s drive away from the observation site. Ron Phillips knew that the PAC-MAX™ heavy duty conveyor would work well for this application and quickly engineered a simple, robust solution. Campion decided on a flat roof design that would be cable motorized. This design allowed us to incorporate an inverted PAC-MAX™ track to either side of the roof, fitted with custom designed wheels to allow the roof to retract or ‘roll out’. The fact that the PAC-MAX™ required no welding and came with all the necessary parts was an extremely important feature given the fact that the nearest location for parts or special tools was 3 hours away from the observatory’s remote location. The PAC-MAX™ has been proven time and again to deliver a high degree of stability and reliability. Since the first installation, Dan Campion has acquired two more space observatories, including one built in July 2013 that was again fitted with the a PAC-MAX™ conveyor to automate its retractable roofing system. Here at Pacline we have had the opportunity to work on many amazing and unique applications that show how versatile and wide-spread our engineered solutions are and this case, sometimes a bit ‘out of this world’! If you’d like to view more fascinating astrophotography or learn about Telescopes for Education, a community outreach program for young students be sure to visit Dan Campion’s webpage: http://ancientphotons.net/.